I just finished reading Celebrating Pregnancy Again by Franchesca Cox. 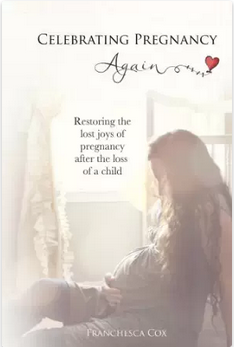 Francesca’s story details her journey from pregnancy loss to pregnancy after loss. Her story is a raw tale of how she balanced her grief and joy during her rainbow pregnancy. It also includes tips and advice for how to handle the “new normal” and find ways to celebrate your pregnancy, even when you are fearful. I highly recommend this book to any Momma experiencing pregnancy or parenting after loss who is needing some reassurance that she is not alone, her feelings are normal and her experiences are valid. This book was an easy read, only 74 pages! Best of all: the Kindle edition is FREE. Download it now. He still hates ultrasounds. The tech was frustrated with him as he kept covering up whichever part she was trying to measure. He loves bouncing around and turning away from the camera. I puked my guts out the second they were done. Luckily, I made it to the washroom. He also has really long legs like both of us, so he’s measuring quite a bit head. I didn’t get an exact figure though. Then and now: has society really accepted infertility? A few days ago, I mentioned how we recently learned a couple we know adopted their children. They are good friends and next door neighbours to my husband’s Aunt and Uncle. We’ve met them many times, but I never knew how they became parents. When I saw them last Saturday, they congratulated me on my pregnancy. As the conversation flowed, I told them that we did IVF and they admitted how they understood our struggle to conceive. After getting married, Joanne and her husband tried to conceive for 4 years before pursing adoption. At that time, fertility treatment options were unheard of. They have an adopted son and a daughter who are now in their 40s. When Joanne told her Mom they decided to adopt, her Mom could not believe they were not waiting longer or trying harder to conceive their children naturally. This reaction is very similar to how my Mom reacted when I told her we were pursuing fertility treatments – “Just relax, it will happen“. Joanne and I both found it fascinating that time (45 years +) hasn’t changed the way the people react when they find out you are having difficulty conceiving and have chosen an alternate method of becoming parents. We are very fortunate to have made significant advances in terms of medical treatment for infertility; however, we still have a long ways to go with educating society about infertility as a whole. Total Weight Gain: +5.6 lbs (this was at 19 weeks bang on). 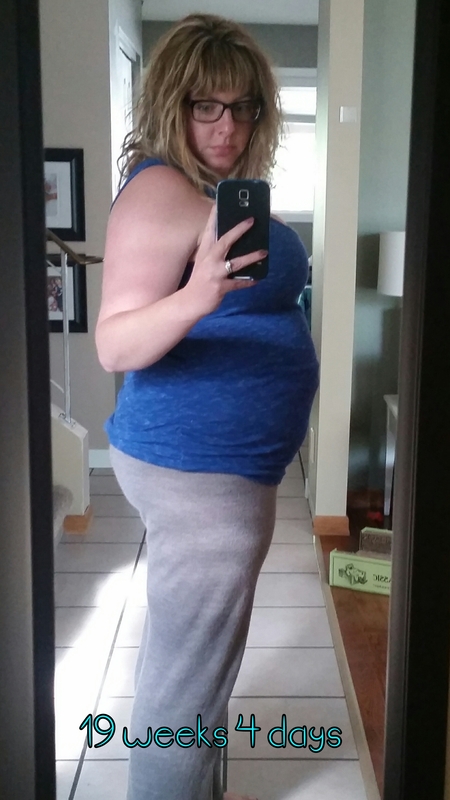 Maternity Clothes: I have been wearing my Bella Band consistently with my regular shorts and capris. Since I’m carrying low, I find they feel a bit tight below the belly when I sit down. I picked up some maternity undies and one pair of shorts today. Symptoms: Heartburn is in full force even with the Ranitidine. I take Tums in between to curb it. As for the nausea, I feel like I finally can say I have morning sickness. I tend to only feel nauseous and/or puke first thing in the morning, but it’s gone a few hours later. Fingers-crossed this pattern holds up or goes away even more! Since having a massage last week, my hips are feeling much better. Sleep: Fairly good lately. My pillow fort and I have found a groove. I only get up to pee 1-2x a night. I occasionally wake up due to heartburn. Even the crazy dreams have subsided! Food Cravings: Anything cold! Sometimes I even leave my supper to cool donw. Movement: Still on and off. I think I felt a few kicks, but nothing strong enough for my husband to feel yet. Gender Prediction: BOY! My acupuncturist, massage therapist and family doctor have all agreed with me over the past week. Belly Button In or Out? : Innie to start! My scars from my ectopic surgery are starting to bump out more. That should look interesting if my belly button pops. Wedding Rings on or off? : On. Happy or Moody? : Feeling better this week. Purchases for baby: Nothing this week. Looking forward to: Our anatomy/gender scan in 3 days and making our official announcement! Today is my daughter’s due date: May 24, 2015. 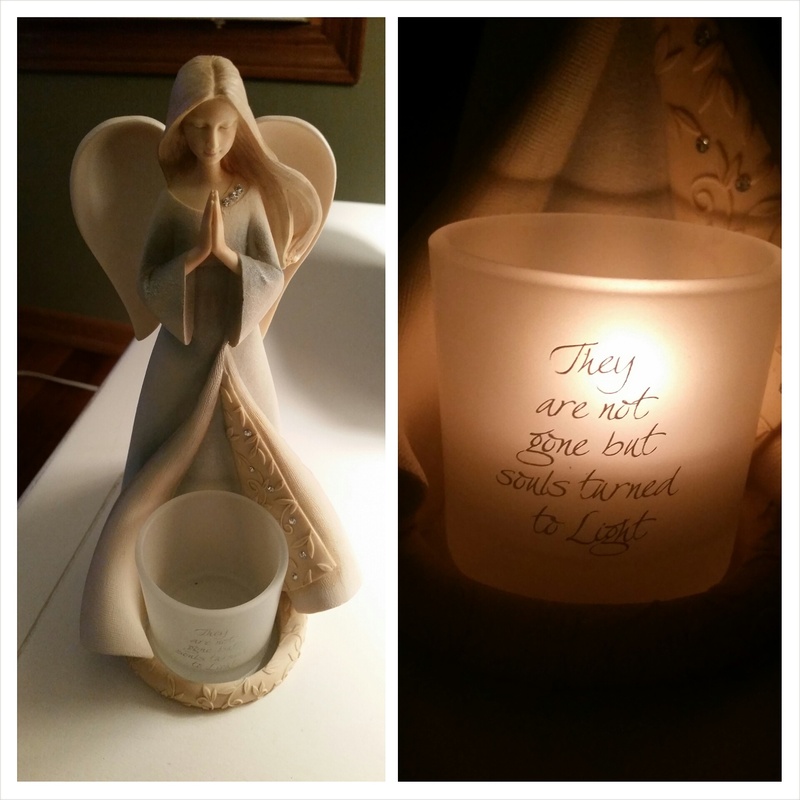 We lost her on October 7, 2014 due to an ectopic pregnancy. I’m now 19.5 weeks pregnant with our rainbow, but that doesn’t mean that Emme isn’t on my mind. I am in a much better mindset than I ever thought I would be today. During the months immediately following our loss, I couldn’t even fathom making it to this date, let alone being able to hold it together. Over the past 7 months, I’ve spent many hours looking deep inside myself to find strength, comfort and support. I don’t look at our loss with despair. Today is not a day to mourn, but a day to celebrate that our daughter forever changed our lives. 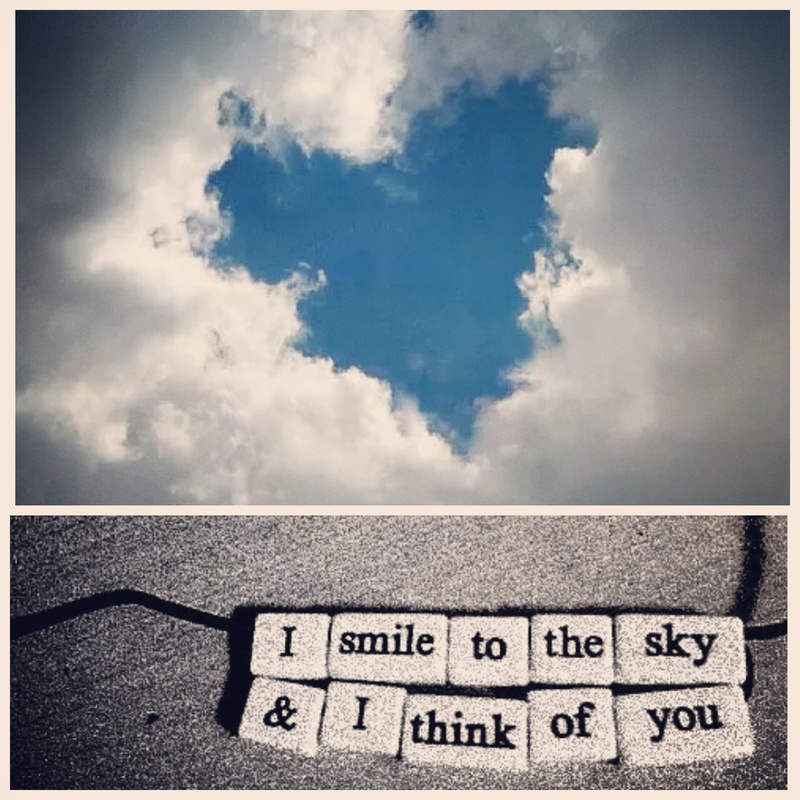 She will always remain in my heart. Only puked 3x. I’m able to skip my Zofran most days now, but I will take it if I’m having a bad day. Total Weight Gain: +5.6 lbs – that has gone down 0.4 lbs since the last time I weighed myself almost 3 weeks ago! I’m expecting to see an increase now that I’m not puking as much. Overall, I am focused on healthier eating habits than I was during the 1st trimester (hello veggies and fruit! I love you once again!). Maternity Clothes: I bought the BellaBand with the hopes of being able to wear some of my regular capris/shorts this summer. I’ll post review on the BellaBand versus the BellaBand basic another time! I also hit Old Navy this weekend for some sales. I bought 3 maternity tank tops (black, pink and blue for 25% off), along with another maxi skirt (55% off!). I really wish our Old Navy had better selection or that their maternity clothes were available for purchase off the Canadian website. We barely get anything in-store. Symptoms: Nausea has subsided substantially (that only took 18 weeks!) Since I’m easying off my Zofran, my back-end is functioning better too.However, I’ve replaced nausea with headaches and sore hips. I sleep in a pillow fort, but being in a computer chair all day doesn’t seem to help my lower back and hips. I am seeing my massage therapist and chiropractor soon. I also have tried stretching (especially in the pool!) and a heating pad for 15 minutes on each hip if it’s really bad. Does anyone have any other suggestions for the hips? Sleep: My need to pee is slightly decreasing during the nights. I still toss and turn quite a bit. I often wake up with my right hip throbbing. I’m really trying to sleep directly on my side and not lean onto my tummy. Food Cravings: Ice cold water, ice cream, blueberries and green apples – my kid is going to come out BLUE AND SOUR! Anything making you queasy or sick: Taking too much of something in my mouth. Eating too much overall. I swear I’ve reduced my portion sizes to 1/4 of what I used to eat, but I do snack more often. Movement: Definitely more noticeable. He was moving up a storm when we watched American Sniper two nights ago. I can’t wait until my husband can feel it. Baby Bump: Gradually growing… will do another pic for 19 weeks. Belly Button In or Out? : Innie to start! Happy or Moody? : I’ve been VERY up and down this week. I’ve been feeling overwhelmed about everything I want to get done around the house and to prepare for baby. I’ve decided to prioritize my list. I’ve also been quite emotional about our upcoming Angel’s due date and some reccuring family issues (no surprise there! haha). I feel like my anxiety has heightened. It’s harder to control it and bring myself back to a grounded state, but I’m working on it. Purchases for baby: I’ve been watching our local online classifieds for deals when I can find them. I picked up gently used My Brest Friend nursing pillow for $10!!!! Yes, I said $10. It is in excellent condition. I also got a previously owned, but never used baby head support pillow for the carseat for $5. Miss Anything? : Swimming! I just want to swim all the time now after my hotel visit last week. Can’t wait til the weather warms up. 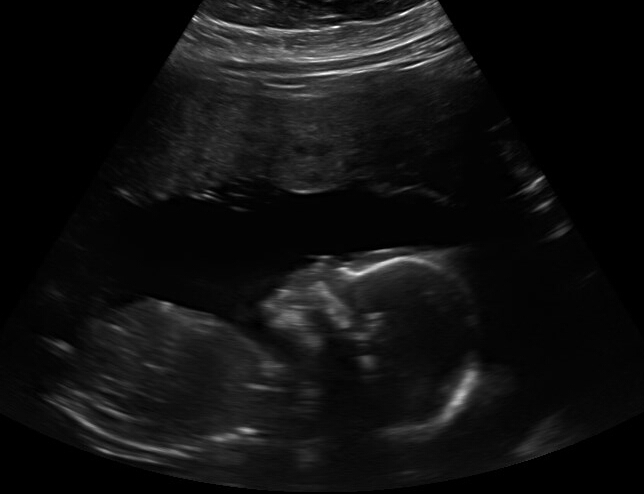 Looking forward to: Our anatomy/gender scan on May 28 and making our official announcement! 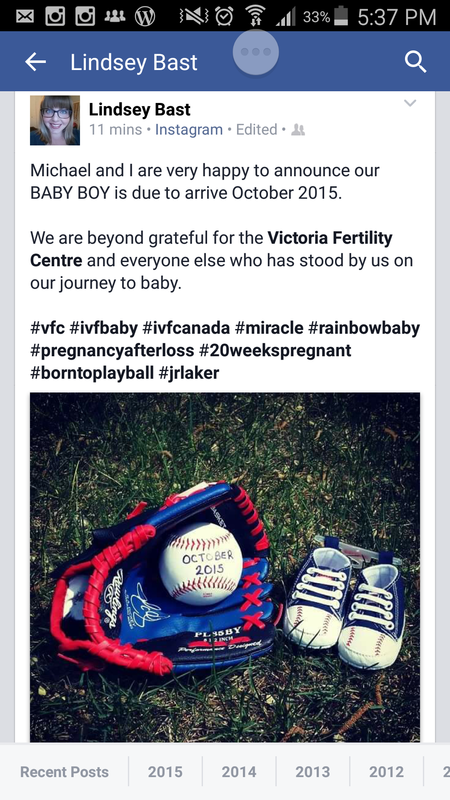 I am a vessel for IVF success… and you can be too! I worked with my fertility coach, Zahra Haji, leading up to our fresh IVF cycle, following our loss and during our FET. I learned so many new techniques to support my overall mind-body and spiritual heath. I truly believe that our work together helped me to conceive both times. This upcoming Saturday, I will be joining Zahra in a webinar to share my success story. Even if parts of it make me feel vulnerable, I’m ready to share it. I’m ready to celebrate how far we’ve come. If you’d like some ideas for how to better support yourself and achieve IVF success, join us! Welcome… thanks for stopping by!